The Lutheran Church—Missouri Synod provides this page with documents and resources intended to serve the needs of contributors and the public for transparency. There is one letter for corporate Synod and a second letter, a blanket exemption verification, for qualifying groups. Are you looking for our Federal Form 990 or Form 990N? Section 6033 of the Internal Revenue Code excuses certain organizations from filing Form 990, the information return generally required to be filed by tax-exempt organizations. The Lutheran Church—Missouri Synod, Inc. is exempt from filing Form 990/990N under this section of the code, and therefore does not file an annual Form 990 with the IRS. The information typically found on a Form 990 can be accessed publicly through resources on this page or by contacting LCMS Mission Advancement. 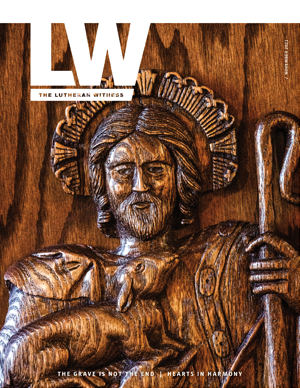 After the November issue of The Lutheran Witness was published, several minor errors were discovered in the eight-page LCMS 2018 Annual Report insert. The online PDF of the Annual Report below has been corrected and is now the definitive version of the document. First Vice-President — Rev. Dr. Herbert C. Mueller Jr.
Fourth Vice-President — Rev. Dr. John C. Wohlrabe Jr.
A donation designated (restricted) for a specific position (missionaries), program or project when accepted, will be used only to fund expenses related to that position, program or project*. 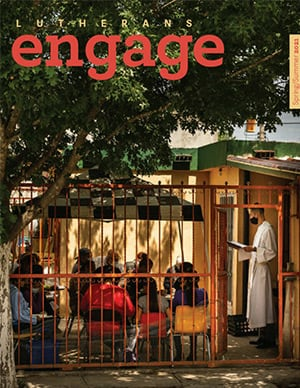 Consistent with Synod Board policy, no more than 12 percent of a charitable contribution may be applied to administering gifts and communicating with contributors. This limitation is reviewed and may be adjusted annually using performance data from the Synod’s audited financial statements over the previous three fiscal years. Occasionally, a planned (budgeted) position, program or project may receive more in contributions than can be wisely applied to that position, program or project in the foreseeable future. Alternately, a position, program or project itself may cease to be feasible or cannot be started for reasons outside the control of the LCMS after a donation has been received. In these situations, the LCMS will make reasonable attempts to contact contributors whose gifts may constitute an unplanned, unusable surplus to determine how they want their donations administered. If a contributor cannot be contacted, the LCMS will use the gift to meet a similar pressing need that most closely matches the contributor's original intent. Contributions received and accepted by the LCMS are deemed to be in agreement with this statement. Questions? Please contact LCMS Mission Advancement. * This complies with Generally Accepted Accounting Principles, Financial Accounting Standards Board (FASB) Statement No. 116. Under no circumstances will the LCMS expend a designated (restricted) gift for a purpose completely unrelated to the contributor’s intent. Contact the LCMC Church Information Center for tour information and scheduling.